Record organization has been an issue for people since they first came out. 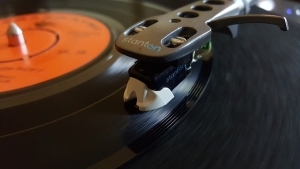 Once you have enough accumulated, it can be tough to sort them so that you can find that one record with your favorite song on it without sifting through hundreds of vinyl. When it comes to the organization of your precious records, each collector has their way of doing it, so there’s no clear-cut way to accomplish this task. 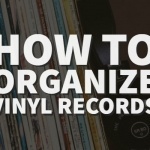 However, here are some ways you can organize your records that other people have found success in. Never Stack: Sometimes people will be tempted to stack their records, this is considered to be a cardinal sin for collectors. 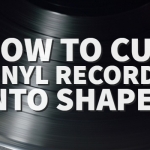 The reason being, records that are under too much pressure can warp and scratch. Not to mention, when you want to find one to play, you have to dig through the whole pile. Avoid Heat: When choosing a place to store your records, never store them near heat or in the sunlight. Even though they are stored inside, they can still damage because of heat coming from a radiator, heater, or the sun. 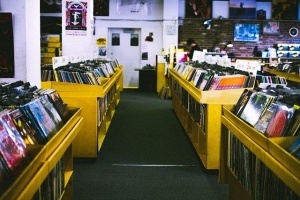 Store In Temperature-Controlled Space: Vinyl is best stored in an area that remains 65-70 degrees, so make sure you keep them in a dry place to prevent moldy covers and warping. Replace Damaged or Old Sleeves: Remove your vinyl from the plastic wrap when you get them to avoid shrinking or cover the damage. You’ll also want to have some acid-free inner sleeves on hand so that you can replace the damaged or moldy ones. This will keep your collection as clean and safe as it can get. This is one of the most common ways people organize their records-by genre. 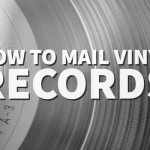 Unfortunately, this creates an issue for those records that are almost impossible to classify, such as Purple Rain. This method is excellent for those who don’t have a preference when it comes to the song they want to listen to, instead, the genre itself. 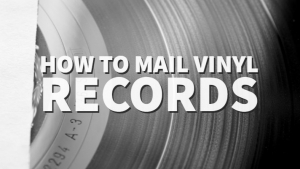 This is probably the most visible and efficient way to get your records in order. This is how libraries are organized, so why not use the same method? 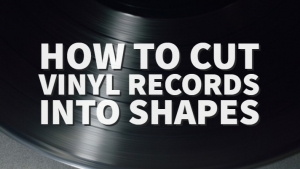 So when you are looking for that vinyl that starts with a “K,” you will know that if you are in the “B” section, you need to go further and so on. You can either alphabetize by album name or artist. Value: One unique way you can sort your types of vinyl is by how much they are worth or how much you paid for them. If you’re really in a pinch for money, you will know exactly which record is worth the most based on where you put it on the shelf. Year Or Label: If you are more of a fan of the year of the album or the label, then consider storing them by year or label. Don’t Organize At All: Yes, it seems strange. However, there are tons of people out there who don’t want to organize their records. They would instead pick a random vinyl and play it as a surprise for themselves. Keeping the records upright is going to be difficult if you don’t have shelves or cubby holes to put them. However, there are some crafty ways you can create them without spending a ton or putting a lot of effort into it. Record Shelf: There are tons of ways you can create shelves for your records. One easy way is to create a bunch of boxes out of plywood and attach them to the wall. You can do the same with pallets as well. As long as it doesn’t slant too much, you can use a magazine rack to keep your records in order. However, if you have a ton of records, this might not be your best option, unless you want twenty magazine holders laying around your house. Cubes: If you have a serious collection, you can always make larger storage cubes that are close to the floor. 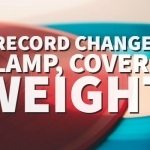 These are great for larger records and some serious collections. As you can see, there are plenty of ways you can store your records, and there are also rules that you should follow whether your collection is only a few or hundreds. There are tons of DIY projects that can help you with the organization of your records as well on Etsy, Pinterest and more.